Our flagship product HYPE Enterprise scales to the size you need – whether you want to run a single campaign, a multiple campaign front end or the entire end-to-end process from ideation to implementation. Business leaders can leverage the power of the crowd to focus on key strategic innovation areas for the business. Successful ideas can be taken through to concept development and turned into innovation projects to track their execution and monetization. 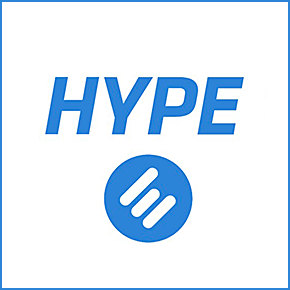 In addition, our new product offering HYPE GO! provides you with innovation management on demand. The versatile collaboration platform has been infused with over a decade of experience in supporting role-model innovation programs, and has been designed to meet the specific needs of smaller sized companies and individual teams. The client community includes global companies such as GE, P&G, Bombardier, DHL, Roche, Nokia-Siemens, Daimler, Airbus, General Mills, Saudi Aramco, Bechtel, Clorox, Deutsche Telekom, and many more.